Stephen Grygiel is an experienced jury trial lawyer, class action litigator and oral advocate. He has argued over one hundred motions, including dispositive motions, in securities and corporate governance (PSLRA, SLUSA, CAFA), privacy rights (Wiretap Act, Stored Communications Act, Computer Fraud and Abuse Act), pharmaceutical overpromotion (RICO), consumer fraud, products liability and other contract, commercial and tort law cases. He has taken hundreds of depositions, including of CEOs, CFOs, COOs and board members of major companies, economic and damages experts and investment bankers, in securities, corporate and commercial, products liability, consumer fraud, and other litigation. 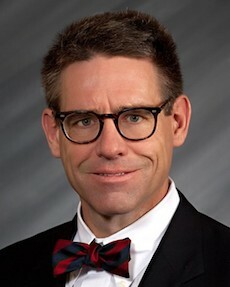 A tireless litigator, he has researched, analyzed and briefed hundreds of complex issues in many different factual contexts, including nature and content of allegations sufficient for standing or supporting dismissal under Rules 8(a)(2), 12(b)(1), 12(b)(6); extent, number and timing of permissible amendments under Rule l5; joinder (including in MDL context) under Rules 20 and 21; summary judgment; CAFA removal requirements, determining amount in controversy, bases for and appealability of CAFA remand orders, presumption against and limits of federal jurisdiction, plaintiff’s rights as “master of complaint” measured against “artful pleading” doctrine; scope of permissible Bankruptcy Court jurisdiction, bankruptcy trustee asset sales as impermissible reorganization plans, due process rights of unrepresented future claimants against bankruptcy estate, requirements for establishment of Equity Committee in reorganization; RICO causation requirements; class action choice of law issues, extraterritorial application of single state law in Rule 23 predominance and manageability inquiries; expert witness qualifications under Daubert and state law analogues; numerous trial and in limine motions.